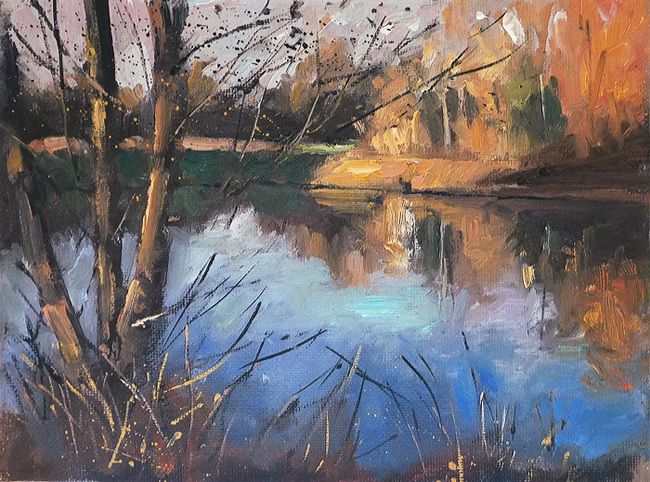 This is my workshop demo effort from yesterday, it's a small lake near where I lived in France. 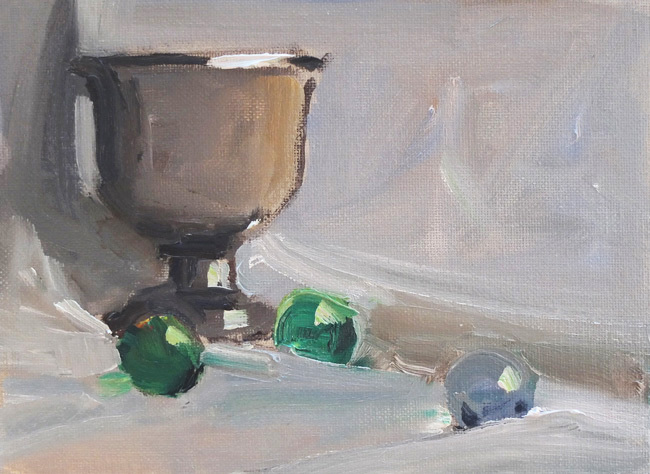 An interesting workshop today I suggested we painted the goblet below with just 50 brushstrokes! I wanted to ignore detail and look for the big shapes and see the tonal values. Everyone did a very good job. I managed this with 55! and was very pleased with it. 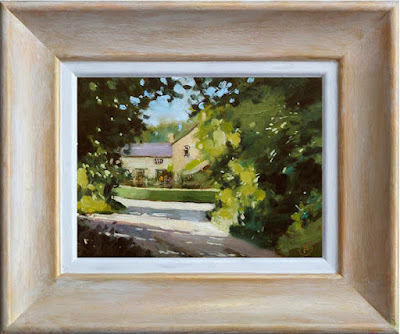 This is an older painting I still have painted in 2010! 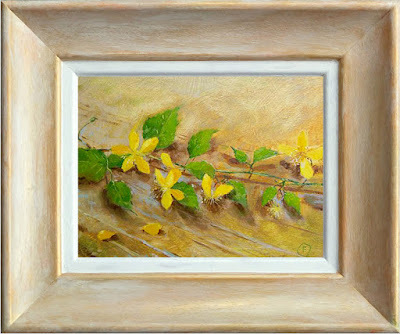 I think it's Winter Jasmine, when I moved from France I left behind a very large plant which always burst into life in early Spring. please send me an email if you would like this, I can supply a similar frame if needed. Evening light over Temple Mill, Why 'Temple' ask the Knights Templars!